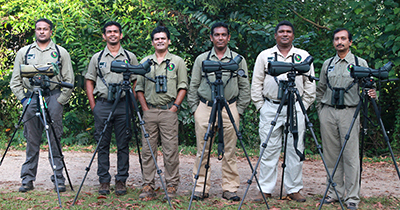 Singharaja Forest reserves - Bird and Wildlife Team (Pvt) Ltd - The Best Birding and Wildlife Watching Tours in Sri lanka, and Tours in India. Sinharaja Forest Reserve is a national park and a biodiversity hotspot in Sri Lanka. It is of international significance and has been designated a Biosphere Reserve and World Heritage Site by UNESCO. It was established in 1978 subsequent to industrial scale logging and much protest. It is 88 Km2 in size. Singharaja Forest Reserve is a must to any visitor to Sri Lanka. Singharaja forest is a tropical rain forest. It is an important lowland rainforest. Its fauna and floral diversity is considered to be of the highest in the world. Enthusiast world over visit this wonderful forest as it harbors a significant number of endemic birds to the island, further more insects, reptiles, plants and trees found here are unique to the island. The chances of seeing the Red-faced Malkoha, Ceylon Blue Magpie, White-headed Starling and the Ashy-headed Laughingthrush are the highest here and would not be encountered elsewhere. The unique aspect here would be to come upon feeding flocks of birds, up to twenty plus species could be observed including sub continental endemics. The possibility of seeing some good Raptors such as Black Eagle, Rufous-bellied Eagle, Crested Goshawk and Besra would be high on the agenda. The diversity of butterflies in Singharaja is highest considering most sites we intend visiting thus we will use all opportunities depending on the interests for observing these wonderful creations of nature. Some of the more rare species we are bound to see would be the Blue Okeleafe, Five-bar Swordtail, Great Crow, and The Tree Nymph. As for mammals the dense Rainforests tends to keep them more elusive, but the Endemic Purple-faced Leaf Monkey and Ruddy Mongoose enters the tick lists regularly so is the endemic race of the Grizzled Tailed Giant Squirrel. 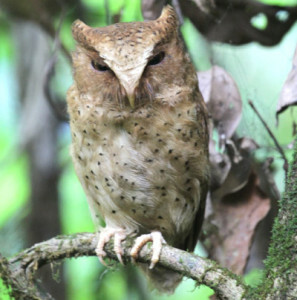 On occasion owling at night, reveal some of these mammals such as Sambar, Red Slender Loris and Palm Civets. 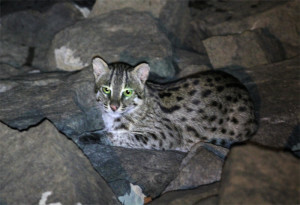 Although elusive Leopards are on occasion sighted here but infrequently. The amphibian and reptile fauna is unique too with many species being peculiar to this forest alone. Furthermore, many species new to science have been recognized in the last two decades alone with manymore waiting to be described too.